This was true for the vast majority of the students which could lead to healthy life choices further on in their lives. Is testing reading comprehension important at secondary school level? In my opinion the answer has to be yes as it is an indicator of a pupil’s ability to read independently and to access the curriculum successfully (DFE 2011). Do all secondary schools offer testing and intervention? No. Lafontaine et al (2009:4) have found that because reading is not taught as a specific subject in secondary schools, reading comprehension testing can differ from school to school. ‘Socioeconomic and cultural status can also have an impact’. In my setting I believe testing and implementing targeted intervention is vital to enable students to achieve their full potential and independence. Letter and word recognition is the first step to reading. Recognising and pronouncing the sound each letter makes leads onto decoding, where students recognise groups of letters that make a sound and then make a word. To comprehend what is being read requires a lot of background knowledge about a wide variety of topics. Students should know how to use inference and make cognitive suggestions as to why they have reached a particular conclusion. Mastery and fluency in reading is when all the skills have been learnt and are applied automatically (Leipzig 2001). With only ‘3% improvement of reading comprehension ability in 8 to 14 year olds since 2005’ (Literacy Trust 2016:2), and ‘5% of pupils aged 11 unable to read better than would be expected for a 7 year old’ (DFE 2012:13) it is clear that very little progress is being made. The DFE (2015) report that ‘This poor performance is the legacy of a decade of stagnation’ (DFE 2015:8) and while reading is important; the need to understand what we are reading is equally so (Tarchi 2015). The importance of testing reading comprehension at secondary level is paramount as it impacts on all subject areas. Government (DFE 2011), research papers (Tarchi 2015, Paul and Clarke 2016, Rennie 2016, Johns and Lenski, 2001 and, the BBC 2012), all believe that reading comprehension ability is what shapes our future and that poor reading skills also impact students emotionally. Adleman and Taylor (2011) agree but also emphasise how it can affect their confidence and self-esteem. The effects of falling behind in reading and feeling like a failure can take a large toll on young people. Children can lose all desire to learn to read or go to school (Hansel and Pondiscio 2016:2). Reading comprehension at secondary level has a profound impact on individuals and many students who are struggling feel incapable and unintelligent (IOE 2012). Furthermore, there is a very strong link between poor reading skills and unemployment (Save The Children 2014). With all these factors impacting young people today with regards to their reading comprehension it would be completely unacceptable not to test and intervene appropriately. Testing provides the data needed to support students and helps to give them an ‘I can’ attitude (Rennie 2016). Some would argue that testing lowers self-esteem. However, done in the right way, it can negate this, giving teachers’ necessary information in the gaps in learning (Brandon 2001). Catching them early and providing quality interventions gives them the best chance of ‘catching up’ and securing good outcomes at GCSE (Brooks 2013). By providing a succinct and measurable reading comprehension test the school will be able to identify struggling readers early on, intervene promptly and monitor progress so that students have a greater chance of success in school and in future employment. If this approach were adopted nationally it could impact positively on the national statistics. In 1943 the White Paper: Educational Reconstruction written and discussed with the Board of Education, refer to the 3 Rs; Reading, Writing and Arithmetic. In this paper it challenges parents to take responsibility for teaching their children to read, in fact they said it was ‘their duty to do so’ (Board of Education 1943:3). There was no testing available to see whether parents adhered to this responsibility and it wasn’t until 1974 that the Department of Education and Science (DES) brought in the Assessment of Performance Unit (APU) which required teachers to assess and monitor the achievement of students in their care. This was the start of accountability for teachers as a high priority (Gillard 2011). In 1975 The Bullock Report emphasised the need for every school to devise a ‘systematic policy for the development of reading and comprehension competence in pupils of all ages’ (DES 1975:514) and encouraged close communication between schools to show consistency and continuity. This gave schools a measure of how their students were doing compared to other schools in the local area. Why then, if this was the case 40 years ago, are we still seeing the same problems today? When Mary Warnock wrote her report on Special Educational Needs (SEN) in 1978, schools were still not completely inclusive places, Castella (2011:21) describes how parents were so disillusioned by mainstream schooling, that they looked to set up ‘Free Schools’ in areas where they felt schools were not providing the expected outcomes. With a demand for greater integration for students with Special Educational Needs (SEN) into a mainstream setting, schools needed to know the starting points of all students to make sure that SEN students had the same chances to progress as their peers. Testing base line in Maths, Literacy and Science became ‘the norm’ and the need to be able to read well was pivotal as to how successful the students were (Galton, Simon and Croll 1980). This was consolidated in the 1981 Education Act where schools needed to introduce assessment for identifying the needs of children with learning difficulties as well as mainstream students. Procedures for ascertaining those needs and a statement as to how those needs would be met was also required. “A reconceptualization of the regular classroom (and perhaps special programs) to accommodate the diverse needs of all learners, including the gifted” (Jackson 1993:5). By the 1990s when national testing was introduced, the reading and comprehension problem became even more apparent. The Literacy Hour began, new national policy was introduced with the ‘Every child a reader’ (2005) paper and yet, this was directed at primary school children not necessarily secondary schools as ‘reading’ is still not part of the existing secondary curriculum Lafontaine et al (2009). OFSTED (2011) in its report ‘Removing Barriers to Literacy’, highlights the importance of testing reading/comprehension in the first 2 years of secondary school. It claims that if this is done, then early interventions can be put in place. Ofsted leaders recognised the fundamental importance of students gaining reading skills as an essential tool in securing their life chances. However, this process is still not offered to all pupils and therefore there remains a barrier for some students to be able to achieve better outcomes. Low achievement and the inability to comprehend subject material in class can impact on students’ self-esteem (OFSTED 2011). The National Literacy Trust (2016) through ongoing studies has collected data and has recognised the importance of secondary school reading and comprehension ability. They are part of the government’s new initiative ‘Read On Get On’ (2014) which aims to get all 11+ students reading well. Without this research, and implementation of interventions students could easily fall behind further. Therefore the situation is likely to get increasingly worse as students move through KS3 to KS4 (DFE 2015). The latest research conducted by Paul and Clarke (2016:4) highlighted concerns that ‘22% of students do not have secure age appropriate reading skills on entering secondary school’. Without testing all students, how many of the 22% would still be unable to access the curriculum in year 11 and how would we know? Richardson (2012:1) findings suggest ’15 and 16 year olds in England have an average reading age five years lower than their actual age.’ This would mean that they are unlikely to be able to access GCSE material which has a reading age of 12 (Literacy Trust 2012). The Joint Council for Qualifications (JCQs) has stringent guidelines for exam considerations. It is imperative that students are identified early so that their ‘normal way of working JCQ (2016/17:21) can be fully evidenced and that crucial support can be given so students are not put at a disadvantage. With this additional information it will be interesting over time to see future impact on student attainment when linked to our guided reading interventions which does concentrate on language comprehension as well as text comprehension. Tarchi (2015:80) would agree in part, however his study found the need for a ‘multidimensional understanding of reading’ which includes the skill of using prior knowledge and inference making. Those participants in the research with these additional skills had better reading comprehension outcomes. This wealth of research strengthens my hypothesis that there is an ongoing need for testing of reading, reading comprehension and targeted intervention to improve these levels for pupils below their chronological age. Students would behave inappropriately in class, often drawing others into their disruption to avoid doing tasks that involved heavy text work and the comprehension of it. Cowley (2001:221) describes disruption in the classroom as a ‘direct result of students not being able to access learning’. Students would refuse to even try or would expect a large amount of support from teachers or TAs. The Literacy Trust (2016:4) highlights this in their State of the Nation report as a problem. English teachers raised concerns of how accessible exam questions were for some students. The late requests for exam dispensation meant that students were missing out on possible additional support. This was because we were unable to show that this was the ‘normal way of working’ for the individual over the last 2 years, as stipulated by the Joint Council of Qualifications (JCQ) (2016/17:21) Guidelines. Secondary text books are for 12+ readers (Brooks 2013) and assumptions were made that if students are in year 7 or 8 or even higher up the school, they can read the text provided for the secondary curriculum. (Rennie 2016, Denti 2004) recognised that for many KS3 readers teacher assumptions were detrimental to the actual ability and progress of students. A simple example of this is a year 9 student in Science being asked to give one drawback of hard water. The response was “ships may collide with it and sink.” They could read the word ‘hard’ but could not comprehend that is may have another scientific meaning. This may bring a smile to the reader. However, it shows the continuing need to improve comprehension skills throughout the secondary school phase and without a base line test, this would be very hard to monitor and intervene appropriately as Tarchi (2016) suggests. Teachers and TAs have been unable to explicitly identify students for targeted intervention. Without these baseline assessments we were unable to critically evaluate what students could manage and where the gaps in learning were. This is reflected in the key findings of the study by the Literacy Trust (2016). These problems affected the whole school. We required a measure of reading comprehension that gave results that teachers could use in their classrooms to help improve attainment and identify students who require further intervention to bridge the gaps in their learning. Ethical considerations were paramount and a question arose from the outset of this research. Which approach would give the best outcomes, not only for the students, but for my team and the school as a whole? A considerable consideration was the impact of teaching and learning in KS3, (the sample for this research). ‘Inductive research’ allows for data collection that can identify any emerging patterns and identify relationships between variables that would help me draw conclusions. However, should a deductive approach be used to test a hypothesis (in its infancy) that testing reading comprehension would provide gaps in skills that needed targeted intervention. The deductive approach ‘moves towards hypothesis testing, after which the principle is confirmed, refuted or modified’ (Gray 2004:14). I decided that because this research would shape school policy, an inductive approach was required through the implementation of evaluative methods that could provide answers to future questions from the SLT. Inductive research allows for data collection that can identify any emerging patterns and identify relationships between variables that would help me draw conclusions. Evaluation research can be defined as a type of study that uses standard social research methods for evaluative purposes, as a specific research methodology….which should enhance knowledge and decision making and lead to practical applications (Powell 2006:102). Evaluation entails ‘looking at a specific set of practices with regard to their functioning efficiency and quality’ (Hitchcock and Hughes 1995:31) which, for the purpose of this study, would be analysing how testing reading comprehension helps with the identification of students for targeted intervention. Cohen et al (2013), Norris (1990) suggests there are theoretical differences between evaluation research and other approaches. This study was a mixed method approach and consisted of both quantitative and qualitative elements. Quantitative research, which tends to focus on numbers and frequencies, rather than on meaning and experience (Bryman 2004) was the New Group Reading Test (NGRT). Other Qualitative methods were employed in the form of a focus group gathering data through discussion at senior level and the use of questionnaires investigating the implementation, completion and effectiveness of the NGRT by TAs. These methods helped to gain more insight into the perceptions and effectiveness of the test from others points of view, providing a much more balanced and informed study (Bell 1987, Wilson 2009, O’Leary 2010). Used by practitioners and viewed as ‘anti positivist’ in its approach, in contrast to a quantitative approach, this interpretative style of research is sometimes criticised to the extent of its validity because of many influencing factors that statistical research eliminates (Hitchcock & Hughes 1995). However, by conducting elements of both quantitative and qualitative research I aimed to gain maximum validity for my findings. A mixed method approach using the questionnaires, raw data and focus group, was ultimately designed to address the need to test comprehension skills at this secondary school. However, I had to be cautious with the study and analysis so as not to influence my results. Bias is described as ‘any influence which distorts the results of the study’ (Gray 2004:574). By conducting a mixed method approach, quantitative and qualitative data could be crosschecked which gave opportunity to triangulate my research and increase the validity of my findings. Triangulation refers to the use of more than one method of data collection within a single study (Hitchcock & Hughes 1995:180). This was achieved through comparing responses from the focus group, and the questionnaire and looking at the raw data. Cohen and Mannion (2007:143) suggest that methodological triangulation is most likely to be used in research and has the ‘most to offer’ and therefore contributes to validity and reliability. A Focus Group which consisted of the SENCO, Head of English and the Deputy Head was formed prior to any set up to discuss which test would be the most valuable, both in terms of cost effectiveness and the raw data it would provide. Raw data from the NGRT was collated. In the first cycle, all 450 pupils from Key Stage 3 (KS3) (age 11 – 14 years) completed the test. The second cycle (6 months later) involved the pupils who were targeted to receive intervention from the first cycle to see if there was an impact on attainment. Questionnaires were sent to SLT, Heads of Learning (HOLs) and all Teaching Assistants (TAs) to ascertain whether the raw data reflected similar outcomes from individual teacher assessment methods. Additionally the questionnaires gathered information on whether staff where using results to inform their planning. Focus groups are an important way of discovering what others think about a particular programme or study, this would include individuals feelings, attitudes and personal opinions (Mertens and Mcaughlin 2004). Having an idea of how teachers perceive and value the process of testing reading comprehension in my school will assist this study in finding proper measures and the correct implementation of tests to secure the best outcomes. In addition, focus groups should be combined with qualitative investigation such as questionnaires to ‘obtain more meaningful conclusions’ (Cohen et al 2013:377). Which test provides the best data for the school? Which is the most cost effective test and why? How is the test going to be implemented? When should the test be implemented? Who is going to implement it? Who is responsible for collating and recording the data? How is the data going to be distributed? Who is responsible for ensuring results are shared and recorded? Mertens and Mcaughlin (2004) concur that having pre thought out questions to discuss in the focus group deters stakeholders from straying onto other threads of thought during the meeting. The NGRT online test is one I had used for the last 4 years in my previous school and I had used the data provided to identify students for additional reading intervention with great success. The assessment adapts to the learners’ ability as they work their way through. This makes it versatile and appropriate for all abilities. Additionally the NGRT online package was identified as the most cost effective way of testing as the analysis and marking of the test is done electronically and is presented as a spreadsheet with areas of weakness and strengths highlighted on the result sheets. This meant that I could print the results for each class and present the scores to the teachers directly, which promoted ownership of the data provided alongside the areas for development for each individual student. This is concurrent with Hargreaves’s (2007:38) vision that ‘Teachers will need to be the drivers, not the driven’. Teachers could then identify areas for improvement and plan more effectively to bridge the gaps in learning in their classrooms. The NGRT programme is one that you can use every six months and so it was agreed that students receiving intervention would be tested twice a year to check progress collected from the TAs intervention programmes and used to identify further students for intervention. The rest of KS3 would be tested once, during term six of the school year. This would then be reviewed after the first year to see what impact the test had had and whether term 6 was the best time to run it. The Vernon Spelling test was also used. This assesses spelling ability and it was agreed that the two tests would give us the necessary data to identify students for literacy intervention and therefore one spreadsheet was made with both test results side by side. My final step to realising my objectives was to design a questionnaire (Appendix 1) that would determine all the respondents’ (37 colleagues) access to the NGRT, the results and its suggested use in school. The defining characteristic of a questionnaire is that it ‘is a written form of questioning’ (Thomas 2009:173) and was chosen because I needed to seek data quickly from a number of respondents (Bell 1987). The design for the questionnaires had to be carefully considered because Newby (2010) informs us that keeping things simple encourages participation and I wanted all stakeholders to be given the opportunity to have their say. Therefore, each question was constructed to be simple and required colleagues to tick their answers or give a brief comment. This was important since the results from this study would help shape the way forward for testing comprehension in future years. The questionnaire consisted of 9 questions; both open and closed. By tailoring them in this way Cohen and Mannion (2011:338) state that this not only addresses ‘the matter of appeal to respondents’ but, perhaps more significantly ‘the matter of accessibility to the questionnaire for respondents’ enhancing matters of validity and reliability. The questionnaires were distributed to TAs, SLT and Achievement coordinators who prioritised time for themselves to complete them. The approach to this data collection involved gathering and recording information in such a way that it could be preserved and analysed in accordance with guidelines and the Data Protection Act (1998). Staff who participated in the study were given the opportunity not to participate if they did not wish to and this is also seen as good practice (British Educational Research Association (BERA) 2011). It was clear from the results and responses that my questions could have had more clarity so that participants clearly understood what was meant. Bell (1987) Mertens and McLaughlin (2004) and Newby (2010) say that by ‘considering what your respondents might reply’ and what it will mean to your research is important particularly when analysing the data. The two tests that the group were focusing on were the NGRT and the CAT’s. Both tests were digital, all stakeholders were competent in the delivery and analysis of CAT’s but only one member of the group had any experience of the NGRT. The discussion developed into what outcomes we needed and in what timescale. One group member wanted to do CATs solely because they had no experience of the NGRT. Both tests were £5.45 per student; however the length of the CATs test was three times longer than the NGRT. However these gave more detailed analysis of the student’s holistic ability rather than just concentrating on their reading comprehension age. Neither of the tests discussed had outcomes that would satisfy all stakeholders and so it was decided that for the first year the NGRT would be trialled and if the interventions were not effective then we would then trial the CATs test. There was diverse thinking about this question. The Learning Hub team which consists of the SENCO, HLTA and TAs was prepared to organise groups of students to be tested over the space of a week in computer rooms. The Head of English thought it would be better coming from her team as they could do the test during English lessons. It was agreed that the English faculty would deliver the test for the first round of testing for all KS3 students in their English lessons. Having the Deputy Head as part of the focus group enabled us to look at the school calendar and discuss when the test would be best delivered. A further suggestion was using the NGRT B test for measuring progress 6 months after the first test. It was agreed that Term 6 would be the best time for implementation as Year 11s would have finished their GCSEs and year group exams would have finished. The results of the test would then inform planning for further intervention ready for the start of the new academic year in September. This meant that at the end of January the following year, students who had taken part in literacy interventions in Terms 1 and 2 would then be tested again without the concern of whether students would remember the answers from the initial test. This would also give the Learning Hub team additional data to support students who were still below their chronological age for reading comprehension. The Deputy Head was very keen for the SENCO to be involved with the implementation of the test. Therefore the Head of English and the SENCO sat down and agreed a week when TAs could support in the English lessons to enable all students access to the test in their lessons. A visual cue sheet was made by the SENCO for teachers and students to help them log on. During this discussion the SENCO expressed her interest in collating and recording the data. All stakeholders were more than willing to agree to this as they felt that the responsibilities they already had would hinder the analysis and delay the results being given out quickly. In the first discussion, the SENCO explained how a spreadsheet would be made to show the outcome of the test, this was approved and the document was sent out to all teaching staff. This prompted a further group meeting where it was suggested that teachers would not use the data if they had to look for the document within school systems. Someone then asked the question as to whether the results could be put on SIMS (the school’s data system). This ignited further discussion and it was decided to put the students’ reading comprehension ages on every register within SIMS so that teachers would know at a glance the reading ability of every student in their class. Who is responsible in ensuring results are shared and recorded? From our discussions the raw data was collated by the SENCO and passed to the data manager within a week of completion. The data manager then updated SIMS so that every KS3 student had a reading comprehension age recorded not only on a spreadsheet but also on the schools information system. This remains current practice today. This is our second year of delivering the test, and now that the focus team are working together and robust systems of operation are in place, other teachers have begun to use the data provided. This has resulted in further opportunities for all students to read in their classrooms, either to the rest of the class out loud or individually reading about a particular topic at a level relevant to their ability. All teachers are reminded on a regular basis of the results and how they should utilise this in their intervention strategies in class to meet pupils’ needs. It has also been utilised by pastoral staff to target support for behaviour concerns. Identifying children and young people who are significantly behind their peers is vitally important – with early identification the school can make sure that their students get intervention early. The following table show the analysis of the 1st NGRT for KS3. Appendix 2 is the raw data from which this analysis has been drawn. Students’ results have been grouped together in year groups and then broken down into specific age ranges. We predict that this early identification at Year 7 with targeted intervention will result in a significant rise in students being able to access their GCSE texts in Year 11. With this information, thorough training was given to TAs who were delivering the interventions selected for this investigation and they are detailed in Appendix 3. Students with a reading age of below 7 – 10.06 years received support in small groups for one hour once a week. The programmes ran for 6-8 weeks to avoid too much disruption in mainstream lessons. Students are taken from any subject area, but we take care not to impact on the same subject twice in a year for any individual. The NGRT was given again to all students in KS3 in July 2016 and the following results were recorded. The table shows the significant increase in reading and reading comprehension skills after targeted intervention for all year groups from 2015 – 2016. Overall 211 (46.1%) of KS3 made accelerated progress in reading comprehension skills after targeted intervention was put in place. This was in line with Brooks (2013:19) who believes ‘Children’s comprehension skills can be improved if directly targeted.’ With this new information we can start the process again but this time moving the students into the next bracket of intervention where appropriate. If progress has not been made, then further investigation is required to ascertain the reasons for this and whether outside agencies are needed to help support the needs of the individual (Lord et al 2017). This is also recommended by the Code of Practice (2015) where the graduated approach to meeting needs is expected. Students come willingly to interventions. These interventions are well organised, well-structured and have an entry and exit criteria and students understand what they are learning and why. This has raised the skill profile of the SEN/D team and members are now seen as experts in the field and as a valuable resource by the SLT. 37 Colleagues participated in the questionnaire from a variety of different roles including support staff, teachers and leaders. The information that follows is the views of those 37 participants and not necessarily the views of the school. A copy of the questionnaire and the responses can be found in Appendix 1. During the questionnaire participants had the opportunity to comment on any of the questions asked and their responses are documented below. Question 1 – Is it a good base line test? Question 2 – Do students access the test well on line? Question 3 – Do you encourage colleagues to use the data? Question 4 – Do you think all staff use the data? Question 5 – Is there a better way to test Reading Comprehension? Question 6 – Is there anything you would change about the process of testing NGRT? Question 7 – Do you think there has been an improvement of reading ages since introducing the test? Question 8 – Do you think the students understand the importance of the test? The final question on the questionnaire asked for stake holders to show how they used the NGRT data. The graph below shows the areas of use and by how many. It is a new initiative. Data was first on a spreadsheet and then on SIMS. The SENCO had not shared it appropriately with teachers. Support staff are only just beginning to use data to identify needs. As a result of these findings it is evident that further development of staff understanding is required. However significant impact has been made on learners’ progress. With time, a cohesive understanding of this process will undoubtedly continue to improve outcomes for learners. We are now in the second cycle of providing this test. There are still areas that need improving. Firstly managing the organisation of dates where all stakeholders are not too disrupted within the curriculum. Making dates in advance as part of the whole school calendar has given a clear indication of when the test should be delivered. This gives credence to the test and it is taken seriously. Furthermore, ensuring all students have taken the test is proving time consuming. Students who are sick long term, disengaged, or on another activity outside of school, currently have no data entered. This means that further follow up is essential. Without this testing students are at a significant disadvantage to gain GCSEs and opportunities of employment (Rennie 2016). This group of student’s is likely to need the personalised, intensive support that will enable them to re-engage with learning (Literacy Trust 2016). Introducing new ways of working within the SEN/D department has caused some teachers to question whether intervention is having a negative impact on progress in the classroom, and subsequent impact on examinations, due to time spent out of lessons. Over time, balancing the need for intervention against the impact of removing a child from a subject area is going to need further monitoring and tracking. Even with research underpinning the need for intervention, some teachers are reluctant to give students any of their subject time or allow them to attend. This in turn impacted upon student outcomes to the interventions. With so little evidence on reading comprehension intervention at secondary level (Brooks 2013, Rennie 2016, Lafontaine et al 2015, Paul and Clarke 2016) it is argued that ‘more large scale methodologically rigorous studies are needed in this area’ (Paul and Clarke 2016:124). Additionally they suggest that reading comprehension may require additional individualised support separate from basic reading skills. This is what the NGRT identifies in its content so that targeted reading comprehension intervention could be put in place. Gaps in data continue to be a significant problem which has caused teachers and TAs frustration when trying to plan effectively. Introducing a TA who would have responsibility to check, monitor and follow up on the NGRT would tighten the overall procedure. With such a small scale study there are obviously restrictions to what has been researched. The study did not include the impact on school micro populations and whether testing had a positive impact on a particular gender. The sample, evidence and analysis of this study was extremely narrow to focus on whether testing reading comprehension and implementing intervention from the outcomes had a significant impact on our students. This process is in its infancy and some students have already made significant progress, although regular reviews will need to be made over time. Reading comprehension is pivotal to key skills in adult life (Clarke 2012). Testing and assessment of reading comprehension in secondary schools is fundamental to establishing gaps in learning and preparing students for their future (Ofsted 2009). Assessment, in whatever form, as long as it addresses the needs of the child alongside appropriate swift intervention, has a significant impact not only on attainment but encourages students to want to own their personal learning (National Foundation for Educational Research 2016, Tarchi 2015, Brooks 2013, Cowley 2001). There is limited research done around reading comprehension skills, but those who have written journals and books agree that this is an area that requires more study, especially with current issues being almost identical to Smith (1976) research forty year ago. From 2000 – 2010 government has uncovered the fact that reading and reading comprehension skills have stagnated compared to our international counterparts. 17 countries significantly outperformed England at secondary level in reading comprehension in 2012 (DFE 2015). The NGRT assessment data underpinned the need for targeted intervention, not only in comprehension skills but in synthetic phonic skills and decoding skills as well. Without this data, students could struggle with the secondary curriculum within every subject area and teachers would be unaware of their gaps in learning until much later on in their secondary school journey, possibly leaving it too late to intervene and support them to reach their full potential. Personalising the support after testing shows our commitment to individuals’ progress not only in reading but also in Maths and Emotional Literacy. The rise in their self-esteem and motivation was tangible and, long term, could be an investment into the students’ attitude to themselves as learners and how this change could impact their lives post 16 and into adulthood. As Brandon (1995:26) suggests that ‘To face life with low self-esteem is to be at a severe disadvantage’. This ranges further than a school’s future predicted rise in their attainment. Collaborative working across the whole school with regards to testing reading comprehension raises the profile of literacy in its broadest sense (Clark 2012, IOE 2012). A whole school drive to improve reading comprehension skills maintains and sustains the rigorous implementation of interventions in KS3. By intervening early, every student will have the very best chance of accessing the GCSE curriculum and achieving good grades which will enable them to plan and map a positive future (Johns and Lenski 2001). Finally a point to consider; In the country’s most deprived areas, more than a third of adults still lack the literacy expected of an 11-year-old (Clark 2012). With similar concerns around young people’s ability to comprehend what they are reading highlighted over 40 years ago, are we doing enough to improve the reading ability of all? If we do not intervene now and bridge the gaps in learning we could be seeing the same statistics in another 40 years time. American Educational Research Association, American Psychological Association, and National Council on Measurement in Education (1999). Standards for Educational and Psychological Testing. Washington, DC: American Educational Research Association. Aubrey, C., David, T.,Godfrey, R.,Thompson, L. (2000) Early Childhood Education Research. London. Routledge Falmer Press. Beck, I L. McKeown, M G. & Kucan, L. (2002). Bringing words to life. New York. Guilford Press. Bell, J. (1987) Doing Your Research Project. A Guide for First-Time Researchers in Education and Social Science. Buckingham. Open University Press. Board of Education (1943) White Paper: Educational Reconstruction (1943) London. Bosandquet, P. Radford, J. and Webster R. (2016) The teaching assistant’s guide to effective interaction: How to maximise your practice. Oxen. Routledge. Brandon, N. (2001) The Psychology of Self-Esteem 32nd edition: A Revolutionary Approach to Self-Understanding That Launched a New Era in Modern Psychology. New York. John Wiley and sons Inc.
Brooks, G. (2013) Fourth edition. What works for children and young people with literacy difficulties? The effectiveness of intervention schemes. London. The Dyslexia-SpLD Trust. Clark, C and De Zoysa, S (2011) Mapping the interrelationships of reading enjoyment, attitudes, behaviour and attainment: An exploratory investigation. London Literacy Trust. Clark, C. (2012) Children’s and Young People’s Reading Today. Findings from the 2011 National Literacy Trust’s annual survey. London. National Literacy Trust. Coleman, A. (2008) Trust in collaborative working: The importance of trust for leaders of school based partnerships. Findings from original research undertaken into the importance of trust as a driver of school based collaborations. National College for School Leadership. Cowley, C. (2001) Getting the buggers to behave. London. Bloomsbury. Denti, L. (2004) Introduction: Pointing the way: Teaching reading to struggling readers at the secondary level. Reading and writing quarterly , 20 (2), 109 -112. Denscombe, M. (2002) Ground Rules for Good Research. A10 point guide for social resources. Buckingham. Open University Press. Department for Children Schools and Families (2010) Working Together to Safeguard Children: A guide to inter-agency working to safeguard and promote the welfare of children. London. Crown. Departments for Children, Schools and Families (2008) Personalised Learning: A Practical Guide. Nottingham. Crown. DES (1975) The Bullock Report : A language for life. London. Crown. DFE (2011) Evaluation of Every Child A Reader. London. Crown. DFE (2012) Research Evidence For Reading For Pleasure. London. Crown. DFE (2015) Special Educational Needs and Disability Code of Practice: 0 to 25 years statutory guidance for organisations which work with and support children and young people who have special educational needs or disabilities. London. Crown. Gilflores, J. Alsonso, C, G. (1995) Using Focus Groups in Educational Research. Exploring Teachers’ Perspectives on Educational Change EVALUATION REVIEW, Vol. 19 No. 1, February 1995 84-101m 1995 Sage Publications, Inc.
Gregory, I. (2003) Ethics in Research. London. Continuum. Hansel, L., Pondiscio, R. (May 2016) Job One: Build Knowledge. ESSA Creates an Opportunity— and an Obligation — to Help Every Child Become a Strong Reader. Knowledge Matters, Issue Brief #4. Hargreaves, A. (2007). Five flaws of staff developments and the future beyond. Journal of Staff Development, 28(3), 37–38. Hitchock, G., Hughes, D. (1995) Research and the Teacher: A Qualitative Introduction to School-based Research. 2nd Ed. London. Routledge. Jackson, N.E (1993). Moving into the mainstream? reflections on the study of giftedness. Gifted child quarterly, 12 (1), 46 – 50. Johns, J. L., & Lenski, S. D. (2001). Improving reading: Strategies and resources. Dubuque. Kendall/Hunt. Jones, K. (2003) Education in Britain: 1944 to the present Cambridge. Polity Press. Lavin,R.E. Lake, C., Davis, S., and Madden,N. (2009) Effective programs for struggling readers: A best Evidence synthesis. Baltimore MD: Johns Hopkins University. Centre for Research and reform in Education. Lord, P, Sims, D, White, R, and Palak R (2017) Communication Trust. Evidence for the Frontline: Evaluation report and executive summary. London. Pearson. Mayer. R, E. (2007) Learning and instruction. Cambridge. Pearson Education Inc.
Mcarthy, M. (1998) Interviewing People with Learning Disabilities about Sensitive Topics: A Discussion of Ethical Issues. British Journal of Learning Disabilities. Vol 26, No. 1 Pp. 140 – 145. Mertens, D, M. (1998) Research Methods In Education and Psychology: Integrating Diversity with Quantitative and Qualitative Approaches. London. Sage. Newby, P. (2010) Research Methods for Education. London. Pearson Education Limited. Norris, N. (1990) Understanding Educational Evaluation. London. Kogan Page Ltd.
Mullis, I.V.S., & Martin, M.O. (Eds.) (2015). PIRLS 2016 assessment framework (2nd ed.) Chestnut Hill, MA: Boston College. Ofsted (2009) An evaluation of National Strategy intervention programmes. London. Crown. Ofsted (2011) Removing barriers to literacy London. Crown. O’leary, Z. (2010) The essential Guide to Doing Research. London. Sage. Patton, M. (1990). Qualitative Research and Evaluation Methods 2nd Ed. Newbury Park, CA. Sage. Patton, M. (2002) Qualitative Research and Evaluation Methods. 3rd Ed. London. Sage. Paul, S. A. S. and Clarke, P. (2016) A systematic review of reading interventions for secondary school students. International Journal of Educational Research 79 116 – 127. Rennie, J. (2016) Rethinking reading instruction for adolescent readers: The 6R’s. Australian Journal of Language and Literacy. Vol 39 issue 1 p42 – 53. Sapsford,R and Jupp, V (2006) Data Collection and Analysis: second addition. London. Sage. Smith,C. B. (1976) Teaching reading in the secondary school. Association for Supervision and curriculum development. Tarchi, C. (2015) Fostering reading comprehension of expository texts through the activation of readers prior knowledge and inference-making skills. International Journal of Educational Research 72 80-85. Thomas, G. (2009) How to do your research project. London. Sage. Warnock (1978) Special Educational Needs Report of the Committee of Enquiry into the education of handicapped children and young people. Cmnd. 7212 London. HMSO. Wilson, E. (2009) School Based Research: A Guide for Education Students. London. Sage. 1. Do you think that the NGRT online test is a good baseline assessment? 2. Do you think the students access the test well in the computer rooms? Please give reasons for your answer in the comments box. 3. How do you use the data collected? 4. Do you encourage staff to use the data? 5. Do you think all staff use the data effectively? 6. Do you feel there is a better way to test the students reading comprehension? 7. Is there anything you would change about the process of testing for reading comprehension? a) If yes please specify what you would change. 8. Do you think there has been an improvement in raising reading ages since the introduction of the test? 9. Do you think that the student’s understand the importance of this test? Active Literacy Kit (ALK) for below 7 readers. Decoding is ‘the process of translating a printed word into a sound’ Mayer (2008). Dockside is the intervention we run for students with a reading age of between 7 and 9. By this time, we know that students are able to build some words through phonic sounds and blending techniques, but they are not secure in this decoding skill and the gaps are such that they lack reading confidence. Dockside provides ‘a systematic phonics-based reading intervention programme, specifically designed for older pupils’ (Rising stars 2016:1). It aims to build confidence, encourage engagement and motivation and has a detailed guide for teaching assistants. Students with a reading age of 7 – 9 had small group interventions twice a week for 8 weeks. This intervention is for those students close to being free readers who require further comprehension skills to be able to manage independently in the mainstream secondary classroom. 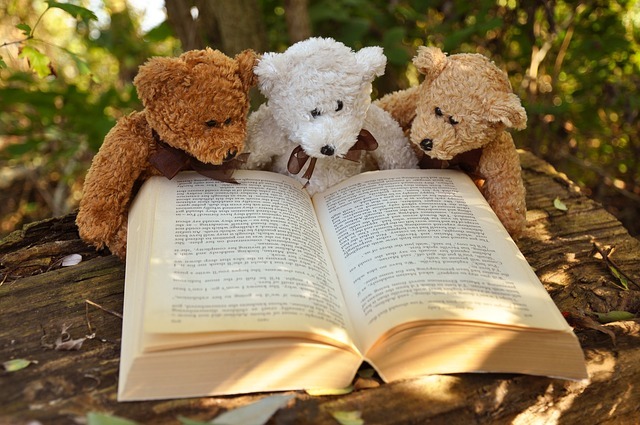 The outlining assessment is in line with the English National Curriculum and believes that reading ‘real’ books with a range of genres encourages an appreciation and enthusiasm for reading for pleasure not just in school.